Chlorofluorocarbons often called CFCs, are chemical compounds often used as refrigerants. This is because they are non-inflammable and non-toxic. The uses of CFC gained much popularity in the 1950s when the cost of purchasing them reduced due to an improved method of synthesis. 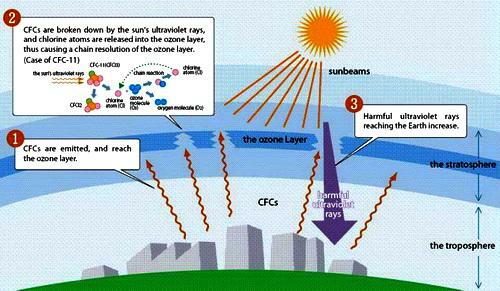 Do you know the implication of the use of CFC in the environment? Tackle the following questions if you do. What is the boiling point of methane on the Celsius scale? What is the boiling point of Trichlorofluoromethane on Celsius scale? Which of these is the formula for Chlorotrifluoromethane? Who pioneered the synthesis of CFCs? Who was the first person to discover presence of CFCs in the air?